Q: What are the benefits of managing inbound freight spend? A: By managing inbound freight spend, shippers can decouple transportation costs from suppliers' product charges and gain visibility to the lanes, volumes and synergistic opportunities that exist within their outbound network. Leveraging a lead logistics provider (LLP) or transportation management system (TMS) expands visibility beyond shipment-level tracking and provides valuable business intelligence to plan, execute, service and ultimately lower your costs. 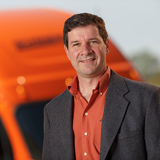 Q: Can shippers afford to overlook inbound PO freight spend? A: Many shippers believe that their freight spend isn't large enough or that their suppliers have the competency, leverage and ease of solution already at hand. With the majority of inbound shipments either freight paid or pre-paid and simply added to the invoice, there is a lack of awareness to the actual freight spend. As a result, the inbound freight spend is usually larger than originally assumed and the execution is less efficient. More than 60% of companies that lack PO visibility have data in disparate systems or the hands of their suppliers. In decentralized or highly segmented organizations, many times there are natural conflicts between Procurement and Logistics. When Procurement leads the inbound freight set-up, there is a natural tendency to focus on commodity price and associated lead-time as transportation is viewed as a stressful and complex secondary issue. As a result, the control gets passed to the supplier and opportunities become buried within the purchase price. Q: What are critical factors to consider in order to maximize continuous improvement? A: Unbundling the supplier's cost is critical in unveiling true transportation cost. Best-in-class supply chains not only have access to data, but also house both inbound and outbound activity in one TMS system. Having visibility to lanes, volumes and PO terms is critical. Furthermore, best-in-class supply chains have a solid supplier management process with controls in place to measure routing compliance, planning notification lead-time, scheduled ship dates, fill rates and line item fill accuracies. A technology platform is the enabler—you also need solid processes that drive improvement in order to maximize the long-term value.